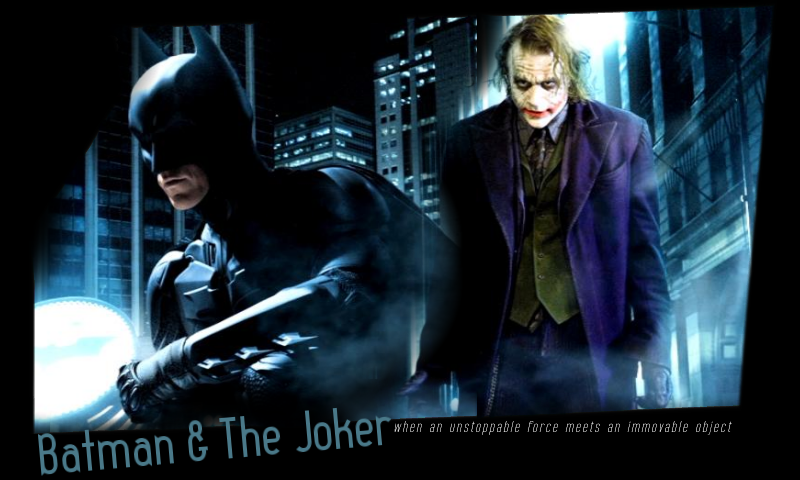 to When an Unstoppable Force meets an Immovable Object, the Fanlisting for Batman and The Joker! The eternal game of cat and mouse between this hero and villain captivates us fans and it's a relationship we just can't seem to resist. If you are a fan of Batman and The Joker, show your support by joining the Fanlisting! This website is owned by Mikh and is listed at The Fanlistings Network and The Movielistings Network. It opened on September 14, 2009.